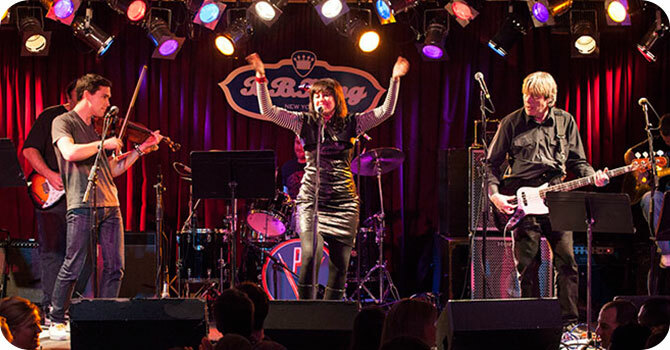 Pharmapalooza, a battle-of-the-bands fundraiser to support the Phoebe H. Stein Child Life Program at The Children’s Hospital at Montefiore (CHAM), will be taking place this year on Thursday, February 9, 2017 at B.B. King Blues Club and Grill in New York City. The event was established in 2008 by healthcare communications company The CDM Group as a fun and creative way to streamline its volunteer work and philanthropy. To date, Pharmapalooza has raised nearly $800,000 to benefit the Child Life Program at CHAM. Tickets are on sale now! If you are unable to attend the event, please consider making a donation to support the Phoebe H. Stein Child Life Program below. The Child Life Program at CHAM provides emotional and psychological support to children and adolescents coping with illnesses, injuries and treatments so that they may continue to live normal lives during their time in the hospital. The staff familiarizes young patients with Montefiore’s surroundings, and serve as not only residence guides, but much-needed friends. Child Life Specialists also structure therapeutic recreation programs in art, music and writing for the benefit of the children and their families. Pharmapalooza is a way to help fund these integral programs. It is more than a night of music, laughter, and celebration of life—it is a proven path to keep the children of CHAM talking, engaging, and healing. On belhalf of our physicians, staff, patients and families, we thank you for your support.